That’s the conclusion of one research group that presented the results of a small study on drone-assisted jogging on Tuesday at the 2015 Computer-Human Interaction Conference (CHI 2015) in Seoul. It may sound like a joke, but according to Florian Mueller (pictured above), director of the Exertion Games Lab at RMIT University in Australia, flying machines can actually motivate people to exercise by acting as companions. The study, the first of its kind, was aimed at inspiring designers interested in creating robotic systems that can support people when they work out. When they began their research a few years ago, Mueller and collaborator Matthew Muirhead had to build their own quadcopter, a flying drone with four rotors, since the ones on the market were too expensive. The machine autonomously flies to waypoints along a path but can be manually controlled by the researchers, and has highly accurate GPS and inertial sensors. It has also a soft housing to protect people in case of accidents. 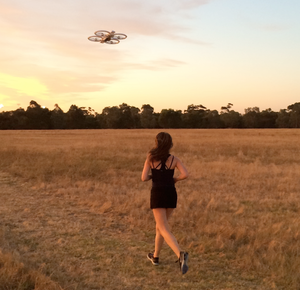 The researchers recruited 13 casual joggers to go running with the quadcopter along a predefined course for about 25 minutes, and recorded their reactions. The machine was not able to sense the joggers in any way. Participants generally enjoyed running with the drone, and said they felt like it was acting like a pace keeper, one that didn’t require looking down at a wristwatch. One participant interpreted the machine’s slight course corrections, due to wind and sensor inaccuracies, as a form of communication. Some of the joggers, however, said they wanted to be able to interact with the drone, such as negotiating a pace, and have some control over it in case a dangerous situation arose. The findings align with sports research that shows people are more motivated to go jogging if they have a partner, or even a dog, to accompany them. Some of the participants even suggested having the drone wait for them at their front door in the morning, hovering and holding their sneakers, as a form of motivation. “We’ve shown for the first time that a quadcopter can function as a social companion for joggers, and we know that joggers value that,” Mueller said, adding the finding was a surprise. 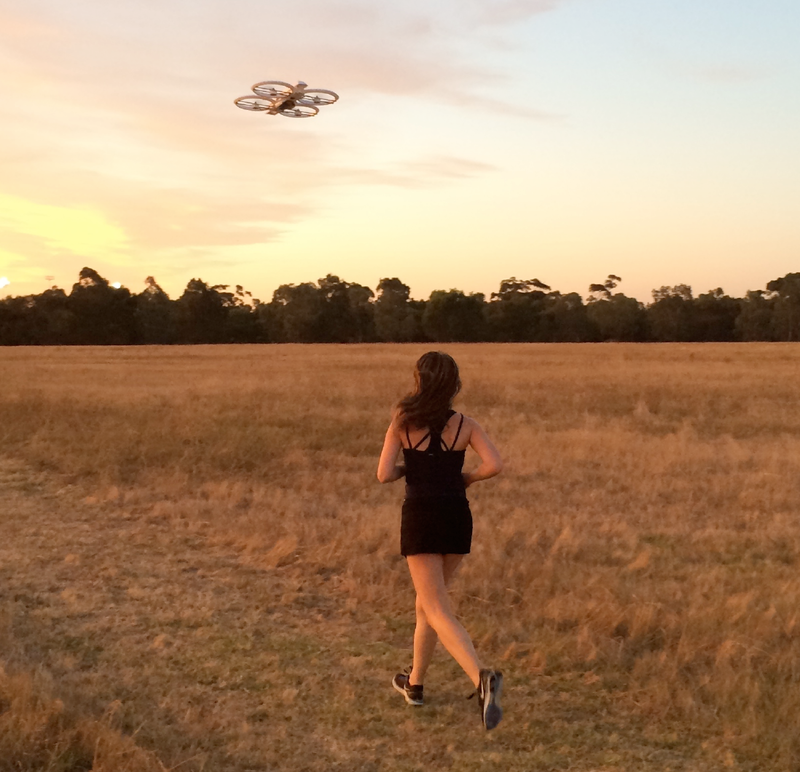 The researchers’ quadcopter has recently been outfitted with a radio receiver so it can monitor how far away joggers are, and they plan to evaluate variables such as how high jogging drones should fly and whether they should be beside, behind or in front of joggers. 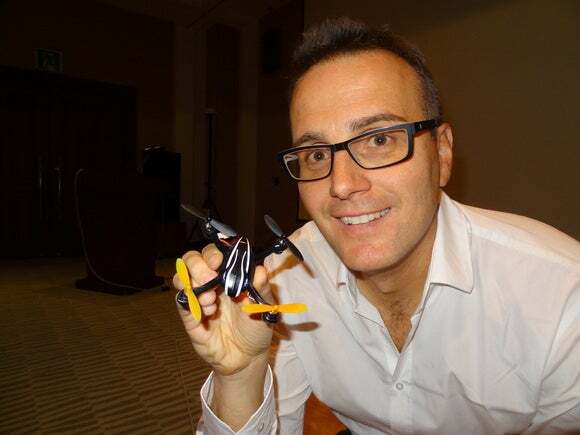 The idea of drones being helpful companions has already been exploited by Helico Aerospace Industries, a startup that launched Airdog, a flying camera that follows users anywhere.